Okay, so Valentine’s Day was not the most beautiful execution we’ve ever seen – a three-week delay in California crops and unwelcome weather issues in the Northeast didn’t help – but we did everything in our power to meet expectations and deliver on our promises. I’m not heartbroken that this holiday is behind us and prettier production is ahead. 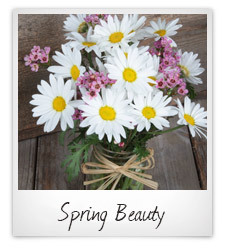 March brings spring, and spring brings new perspective and renewed passion. The season sends all the beautiful items so many of us love and long for all winter. We’ll start harvesting Bells of Ireland, Ranunculus, and Super Stock in March. Numbers will be moderate to low due to the unseasonable cooler mornings that we are experiencing. March is a great time to introduce all of you to team member and team player Ciro Gonzalez, our new Supply Chain and Logistics Manager. 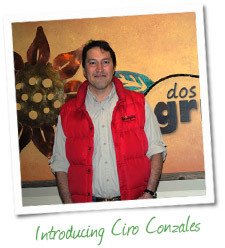 Ciro jumped aboard in December learning all things logistics. He is serious and disciplined about ensuring every client receives his/her order(s) on time, appropriately labeled, and in excellent condition. We’re lucky to have Ciro. In the coming months, he’ll assume additional responsibility for seed procurement, working with the sales team and Master Grower Todd Thornton on harvest forecasts, order execution, and follow-up. He pays attention to detail and the analysis this work requires, and I know we’ll all reap the benefits of his influence. Get to know Ciro (hey that rhymes) a little more in the interview below. Where in the world is Aaron Motola? Fear not, my friends. Our fearless Leadership Team Pioneer remains on site and very much a member of the team. Aaron is now leading a 20 year old "new venture" that I recently acquired. Stay tuned for more info. 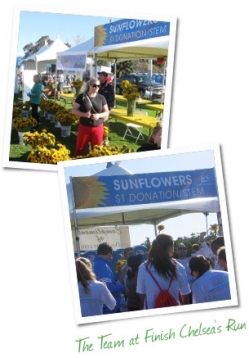 We began this month with a Sunflower fundraiser at the 3rd annual Finish Chelsea’s Run on March 2. Giving back is a huge priority for us, and this event is always an incredible experience for all of us who attend. We raised and presented a total of $2,153 for the Sunflower Scholarship associated with this cause – despite my six-year-old Jack’s confusion about why he didn’t get to keep the proceeds from the stems he personally sold…a teachable moment, to be sure. Early years: Born in Mexico, Ciro began his professional life in Monterrey, an industrial city in the north, and was involved in several manufacturing industries in logistics, production planning and inventory control. He began to specialize in the food industry in the mid-1990s, establishing process procedures and information systems for the seafood, dried fruit and orange industries in the United States. On the Move: Moved to Florida in 1997 to stay close to projects. Arrived in San Diego in 2000. Spent the past 13 years as a distribution manager with diverse responsibilities including inventory, logistics, order fulfillment and growers supply. I find the flower business challenging and fascinating. The inventory turn is almost immediate. Trucks with material may be received one day and shipped out forming a bouquet the same day. The storage period for flowers and greens, if any, is very short. There is no margin for error. Operations must be precise, transportation on time, and temperature controlled. On top of that, cargo must be treated delicately. We set the highest standards for quality and availability, yet we’re subject to the seasonality of our product and to Mother Nature’s mood swings – a delicate balance, to be sure! The logistics network is in place, the demand is growing and the trend is toward high-quality, steady supply. My biggest challenge, which I accept wholeheartedly, is developing a supply on par with the other links of the chain that will allow us to grow and continue providing the best products for our partners. I want to help our growers increase the variety and quality of material; create new sources in climates that improve availability; control as best we can the risk of natural events; and create cost-effective logistics for the transportation we need. I like challenges and finding ways to resolve puzzles and find answers. Opportunity can be found in lots of places. What’s harder to find are the great people and culture Dos Gringos has. It comes from the top. 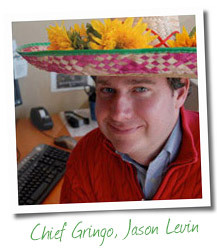 Jason’s energy and enthusiasm are contagious, and the culture he and his team have created is unique. I’ve met so many people, all with different backgrounds and skills – and each with a story about how happy they are to work here. 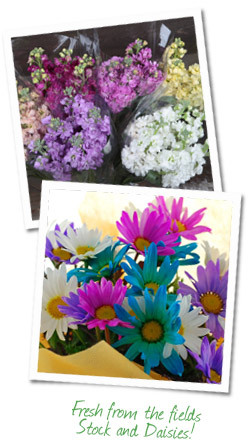 The flowers help, of course – you can’t beat the aroma therapy! -- but this is a happy place in a challenging business. Personal: Married with two kids. My daughter (21) is finishing college, and my son is a high school senior. We love San Diego and the chance to meet people from so many different cultures. I enjoy music, books of all kinds, and flowers.